Item Weight 3 lbs. 3.5 oz. 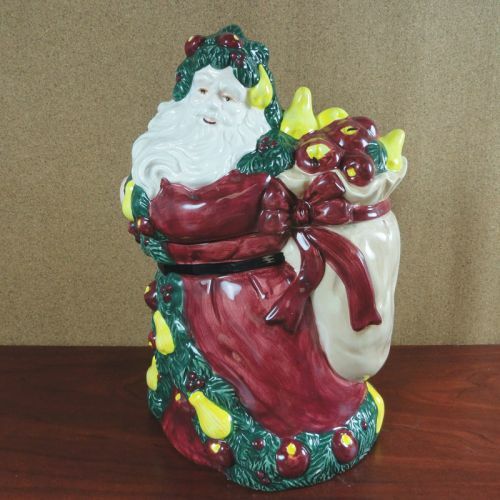 Vintage ceramic Christmas holiday cookie jar featuring an old fashioned Santa Claus holding a bag of toys. Santa’s white beard and flowing robe with painted accents complete the look. There is some kind of manufacturer logo on the bottom but my research has not uncovered the source.